I've been tagged in the "17 Facts About Me Tag", thank you to the people who did tag me. I hope you enjoy reading this blog post. 1. How did you get your user name? Its my name. I am also known as Av Baby. 2. If you could change your name to anything, what would it be and why? I wouldn’t actually. I like my name a lot; I don’t know anyone else with the same name but if I think changing my surname to Salvatore that would be cool. I did change my surname when Phil and me got married. 3. If you could go back in time and give your younger self advice, what would it be and why? It’s a personal matter and very personal to me so I am not going to say why and I’m sure a lot of people can respect that but I should have said ‘I love you too’ to him when I had the chance and I never so I would go back and make sure he knew I always did love him and I always will. 4. How old were you when you first learned to blow a bubblegum bubble? It’s a really silly answer but it’s the truth, I wanted to be a mermaid. I used to sit in the bath for hours thinking I would grow a mermaid tail when I was a little girl, shameful I know! 6. What do you order at starbucks? Mocha latte, deluxe hot chocolate or chocolate cookie crumble. Yum! 7. What’s the hardest you ever laughed? It sounds really cruel and horrible but I always laugh really bad when someone hurts themselves, not when it’s really serious but if someone bangs their head or their foot etc, it always makes me giggle loads. 8. If you could play any musical instrument, which would it be and why? I would love to be able to play the guitar really well, and the violin. 9. What’s your favourite thing to do when you’re upset? Listen to music and just take some time out to relax and think everything through. 10. What’s your favourite movie? I honestly have so many that I couldn’t choice but I will say no matter what mood I am in I can always watch The Invisible Circus. 11. What’s one food you can not live without? Beef flavoured Koka noodles and chicken curry with red peppers. 12. What’s your favourite dessert? Warm chocolate fudge cake with cream, jam rolly-polly with custard, chocolate filled doughnuts; I have lots. Yum! I only like plain cheese pizza. 14. Would you rather have the superpower to read minds or the superpower to be invisible? Superpower to be invisible would be better in my opinion as I wouldn’t like someone to read my mind as that is very personal so I wouldn’t want to do it to someone else, that’s not fair. 15. What did you do for your last birthday? I had a bbq garden party at home with fiends, it was actually lovely and one of the best birthday’s I’ve ever had. 16. If you had one personal “selfish” wish, what would it be and why? 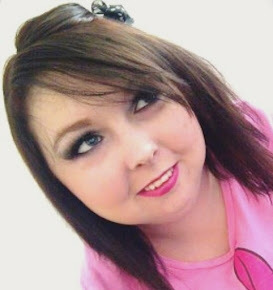 My wish is always that someone will find a cure for cancer, colitis, osteoporosis and arthritis. But for a “selfish wish?” just like everyone I would love to have unlimited money lol. 17. What does OMGHHKP mean to you? Oh-Em-Gee-Double-H-Kay-Pee!! Basically, it reminds me of Blaire Fowler. 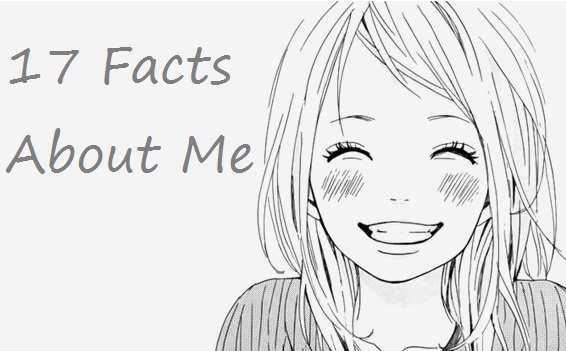 I want to tag all of my readers and followers in this tag, I'm love to know 17 facts about you all. If you do this tag don't forget to tweet it to me as I would love to read them all.